The book is such a necklace of interesting facts and tidbits, anecdotes, legends, stories… that it’s difficult to choose which ones I enjoyed the most. An engaging exploration of the orchids’ role in human culture, from myths and legends to literature and scientific endeavours. – The fact that the book was originally in Italian. Cattleya labiata, the Orchid That Started It All (… “it” being orchidomania). Understandably, I guess. Yes, I know. I’m sorry. I’m just so used to seeing the Spanish (and Italian) markets awash with plant-related books unerringly written by anglophones, that I find it downright marvellous that a book originally published in Italian was deemed interesting enough to warrant a translation and a good edition in English. No offence intended, but I feel like sometimes the English-speaking world tends to forget that good research and good books also exist in other languages. And I love it when I come across examples of books that managed to swim against the current. (Granted, that’s my personal background speaking. Most people won’t give a fig about this). – Learning about orchid legends in central and northern Europe. I knew about the Mediterranean ones, and I mistakenly thought that was pretty much all there was to European orchid folklore: pseudobulbs likened to human testicles —in Greek, orchis—, which would’ve made them pretty popular as aphrodisiacs (and ended up giving its name to a single genus, Orchis, and eventually also to the whole family, Orchidaceae). And then I read about some central and northern European orchids whose pseudo-bulbs were hand-shaped, and had given rise to all kinds of superstitions and names (‘hand of death’, ‘hand of the dead virgin’) connected with both passion, and stealing! I wasn’t surprised to learn they were also used as talismans (eg. Orchis mascula in Scotland) and considered to bring good luck to the wearer in some places, given how recurrent hand-shaped objects are in amulet lore against witches, the evil eye, etc. Indeed Berliocchi mentions how Dactylorhiza maculata tubers were at the centre of several Norwegian rituals during the Eve of Saint John, such as burying them at the threshold of one’s house to banish the evil eye forever. Angraecum sesquipedale, the famous orchid whose mysterious pollinator Charles Darwin predicted without ever seeing it. The orchid used to prepare Bourbon tea was once classified as an Angraecum, too (now Jumellea fragrans). I knew about vanilla, of course, and had also done some research into salep. But I was delighted to learn about concoctions as evocative as Bourbon tea or faham, an infusion prepared from different orchids that was apparently the rage in 19th century saloons and drawing rooms in Europe. Besides being considered a sedative, the author mentions another property commonly ascribed to the beverage that I find very suggestive: it was “thought to improve one’s sense of touch, and often applied as a tincture to the fingertips”. – Discovering the wondrous world of orchid leaves. I had never given them much thought, you see; of course they were necessary to the poor plants, sure, yet I believed them to be culturally unimportant. And I learnt of Macodes petola, a Javanese orchid whose leaves are “covered in a network of metallic veins bearing an extraordinary resemblance to the script of its native land”, and I was intrigued. I could picture the Javanese mixing a salve with juice of this orchid, then applying it to the eyes of anyone aiming to learn how to read and write, “recommended particularly for those wishing to become literary experts”. Gorgeous, gorgeous leaves of Macodes petola. Or the so-called ghost orchids in Indonesia, of a genus close to Macodes petola, “whose wonderful velvety leaves are inscribed with arabesques in gold, copper and silver” and are believed to inhabit only the most secret places in the jungle, vanishing as soon as a stranger sets foot in their presence. And I was hooked. I’ll be sure to do some research on orchid leaves from now on.  – The list of orchid-mad explorers whose lives were touched by this plant family. Because ’tis a book about plants AND people, Berliocchi gives us short yet interesting accounts of the lives of countless explorers that went into the jungles of the world in search of exotic plants, orchids among them. If any writers out there are looking for adventurous historical figures to inspire their next novel, I’d say many of these orchidomaniac explorers would fit the bill perfectly. Some had happy endings, others tragic endings; some rose to fame (eg Paxton and his Crystal Palace), others remain obscure names in the annals of plant hunting (even despite having been famous in their own time, eg the Czech Benedikt Roezl, who “was once attacked by a group of bandits who were about to kill him when, discovering he possessed no more than a horse and a bag of plants, they assumed he was mad. It being bad luck to murder the insane, the bandits fled, pausing only to make the sign of the cross.”). – Orchid appearances in literature. Those long purples with ‘grosser names’ were orchids! And did you know that “for some fin de siècle commentators, the spirit of the orchid was incarnated in the figure of [Oscar] Wilde”, and that the main character of The Picture of Dorian Gray had an orchid house? I had not (which is worrying, as I have read that book…). And what about Marcel Proust and the role orchids play in some of his works, such as Un Amour de Swann (with Cattleya labiata being the female character’s ‘leitmotif’) or Sodome et Gomorrhe? Another interesting thing was seeing how most mentions aren’t only modern, but… disturbingly gothic. Horror stories in which orchids are dangerous, killer plants, flowers “of wondrous beauty that encloses and conceals a demon”. H. G. Wells (1866-11946), F. M. White (born 1859), or Gustav Meyrink are some of the authors that featured evil orchids in their stories. Although I have no green thumb and no orchids currently under my dubious care, the book includes a lovely section on orchid cultivation basics which I’ll be sure to check out if I ever get another Oncidium. It also includes a section on the most important orchid genera; although I understand that for most orchid growers and lovers the book wouldn’t be complete without it, it makes for a slightly repetitive read if one has never seen them — which is only normal, of course; a list of plant descriptions is dry reading, no matter how witty or beautiful your prose may be. There are tidbits buried there though that sparked my curiosity, such as references to the most scented orchids, or to the origin of some of their scientific and common names. One thing I must say in connection with a legend it presents, on a supposed Maori myth on the origin of orchids — that they were pieces of a shattered rainbow that fell to Earth. And it’s this: I haven’t been able to find confirmation for this myth anywhere else. I know this doesn’t mean it’s not true… but it makes me wonder. It has a gorgeous selection of coloured plates, but most of all it’s peppered with images that are true works of botanical art. It also mentions a huge number of botanical works featuring orchid paintings, some of which I shall link further down in the list of resources. Relatively slim but packed with information, balanced and informative, it was a joy to read (and re-read!). Ophelia (1851-2, Sir John Everett Millais), from Tate.org.uk.